HED® International, Inc. carries a complete line of replacement and spare parts for your equipment. 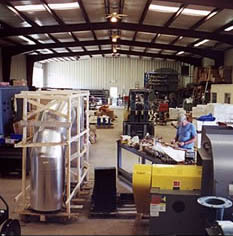 Most standard items in stock, specialty items can be fabricated or ordered quickly for your convenience. Your technical sales representative can help you determine what parts you need and what items would be good to have available on location to minimize your down time. We also maintain Database of User Manuals and important information about your equipment.